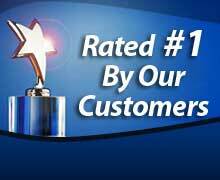 Are you searching for professional marble polishing Birmingham? Polished white marble makes a beautiful floor covering. However, this beauty can quickly fade when scratches and ingrained soil starts to show. 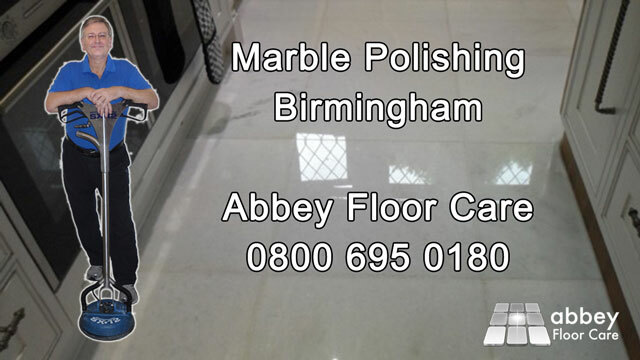 Once the original finish starts to fade, the only way to bring the polish back is to call on the services of a professional marble polishing company like Abbey Floor Care. This post describes marble polishing services we performed in Edgebaston, Birmingham B15. The white marble floor was dull and scratched with discoloured grout. We were hired to restore the floor back to its original clean, polished finish. Scuffs and scratches from foot traffic have damaged the shine on the tiles leaving them dull and dirty. In many areas the white grouting is dirty and stained. Thus making the tiles appear as though they are not being cared for and more and more difficult to keep clean. The fine cracks are too fine to fill, but they can be made cleaner and less obvious. Lippage is the variation in the height of adjoining tiles is called lippage. The lippager was under 2.0m, which meant that we could feather the grinding up to 25 to 50mm from the wall reducing the cost of the restoration. The original grout had not been sealed, consequently, there was a lot of stained grout. There was also areas where the homeowner had tried to remove dirty grout and replace it with new clean grout, but this new grout was starting to break away. There were also areas where the grout had come out completely. Marble grinding and honing is a messy process and is it easy to splash slurry onto adjoining surfaces. To stop the splashes causing any damage, we always install plastic sheeting over adjoining walls and static furniture like kitchen cupboards, fridges etc. Once the whole floor had been ground smooth we honed the floor through 50, 100, 200, 400, 800, 1500 and 3000 grit stages, preparing the tiles for their final polish. Then we used marble powder polish to create a deep shine. Grinding the floor had reduced the height of the tiles to the level of the grout, creating a monolithic or single surface. This means that cleaning and maintenance a breeze with no deep grout lined to capture dirt. We finished by sealing the floor with an impregnating sealer. This kind of sealer sits inside the surface of the stone and does not change the polished finish. The sealer will help the marble and grout to better resist staining. Also using a sealer makes cleaning much easier. The floor now looks beautiful and glossy, better even than new. We explained why it is important to care for the floor in the right way. It is important to use the correct stone floor cleaning chemicals, as standard floor cleaners will strip away the sealer, leaving the tiles porous and difficult to keep clean. Using the right stone cleaning chemicals will enhance and extend the life of the finish, leaving the floor beautiful for years to come. If you want your marble floor or any other stone floor restoring to a beautiful finish call Abbey on 0800 695 0180 or complete our simple contact form.